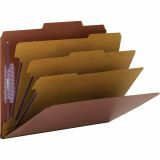 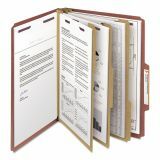 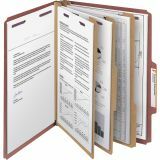 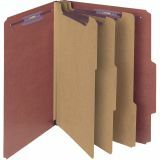 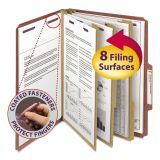 Smead Pressboard Classification Folders, Self Tab, Letter, Eight-Section, Red, 10/Box - Classification folders feature heavy-duty pressboard and Tyvek accordion-pleat. 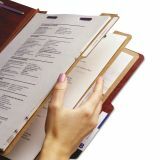 Store information using up to three subdivisions. 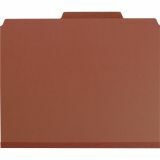 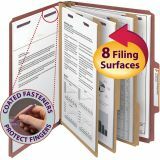 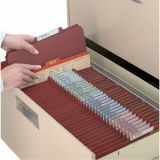 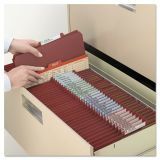 Perfect for personnel, real estate or accounting files. 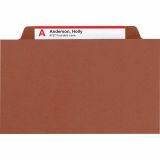 Keep parts of a total file segmented for ease of reference. 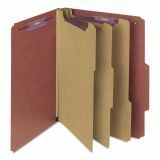 Classification folders offer 2/5 cut tab located right of center. 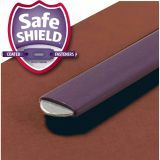 Made of heavy-duty 25 point pressboard. 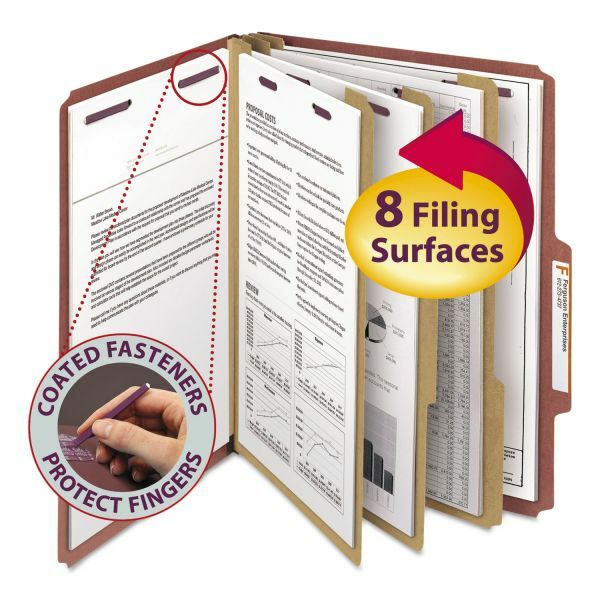 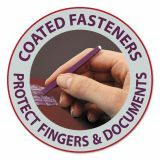 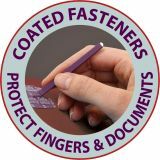 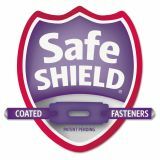 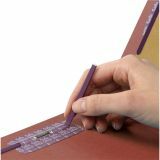 Each features a 1/2" high tab, rounded top corners, matching color Tyvek tape and 2" prong "K" style fasteners in positions 1 and 3. 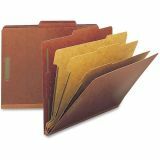 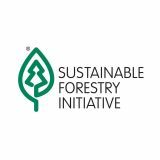 Folders are made from 60 percent recycled content and 30 percent post-consumer material. 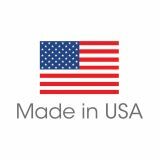 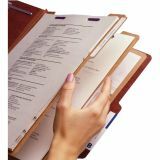 Dividers are made of 17 point kraft stock and feature 3/8" high tabs (1/3 cut), 1" twin prong fastener, divider fully taped to gusset and fasteners on both sides of each divider.